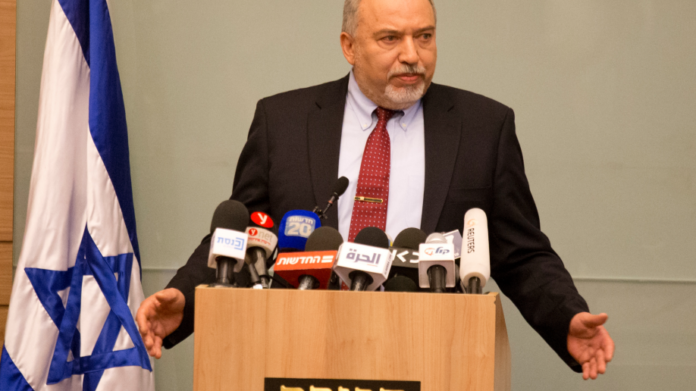 Chairman of the Yisrael Beitenu party and former defense minister in the outgoing government, Avigdor Lieberman, spoke out on Monday against Prime Minister Binyamin Netanyahu, who is asking the High Court of Justice to grant another extension to legislate a draft law, until July 28, 2019. Lieberman calls this additional concessions to the chareidim by PM Netanyahu. Using Facebook to get his message out, Lieberman writes “There is no end to what Netanyahu’s government will do to knock down the draft law that was formulated by the defense establishment in order to advance the ‘no draft’ law as per the chareidi version”. He insists that once again the government is turning to the High Court regarding to the law in an effort to sabotage it. He insists the bill can be passed now, during election season, as the bill is widely endorsed by the general public, and there is no reason to delay it until the summer as is being done. Lieberman plans to also petition the High Court to prevent the court from extending the expiration date to legislate a draft law.